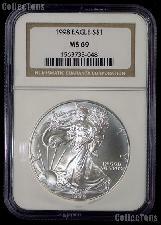 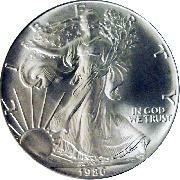 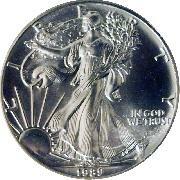 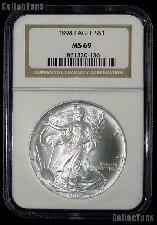 Adolph Weinman's half dollar design of the Walking Liberty was resurrected for the obverse of the Silver Eagle. 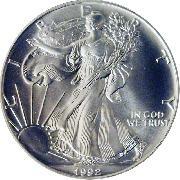 It depicts the figure of Lady Liberty who, in the artist's words, is "progressing in full stride toward the dawn of a new day, carrying branches of laurel and oak, symbolic of civil and military glory." 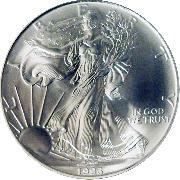 A modification was made to the design to place Weinman's initials on the hem of Lady Liberty's gown. The reverse, sculpted by John Mercanti and inspired by the Great Seal of the United States, features an eagle with large wings holding an olive branch and arrows. 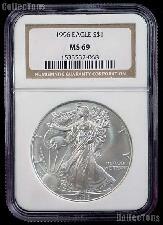 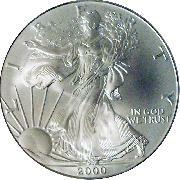 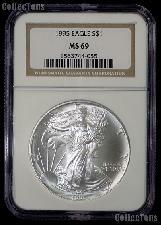 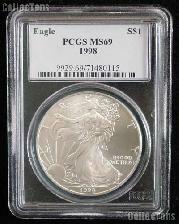 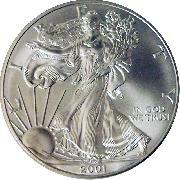 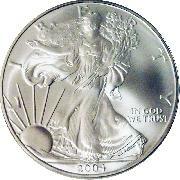 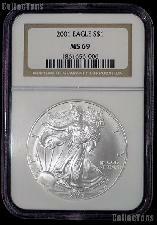 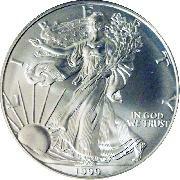 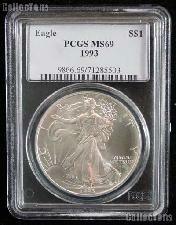 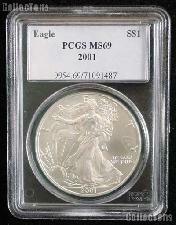 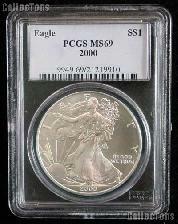 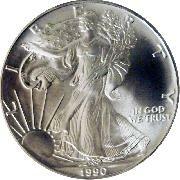 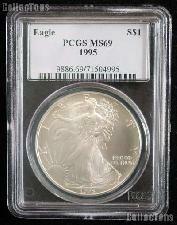 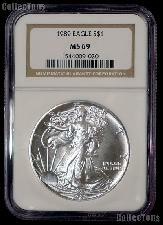 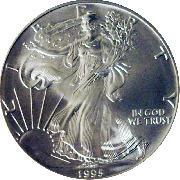 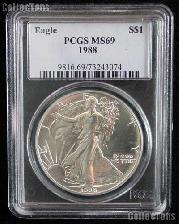 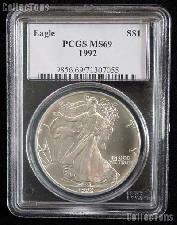 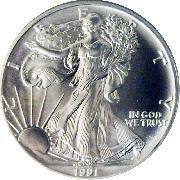 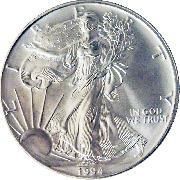 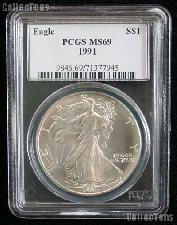 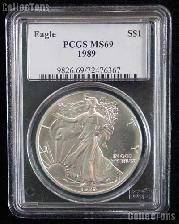 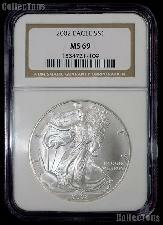 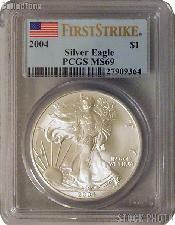 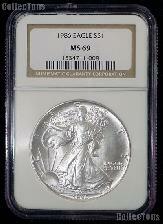 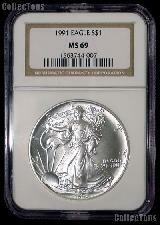 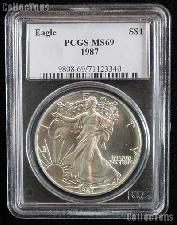 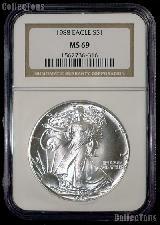 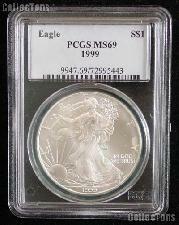 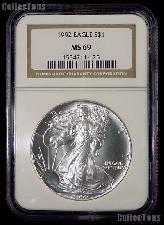 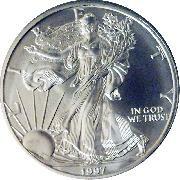 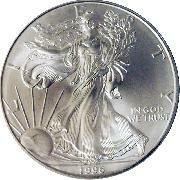 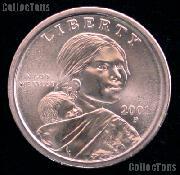 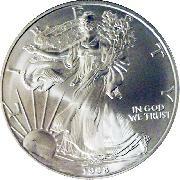 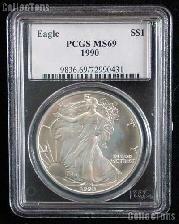 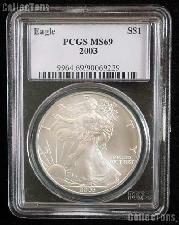 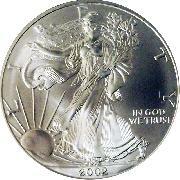 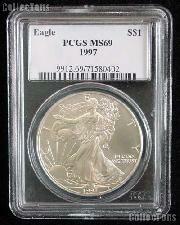 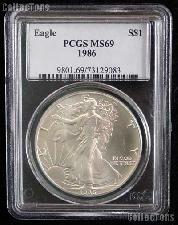 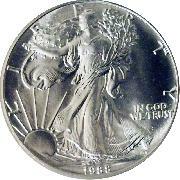 Mintage of the Silver Eagle dollar has varied through the years and prices directly reflect this. Most dates are fairly inexpensive, not much more than an ounce of silver. 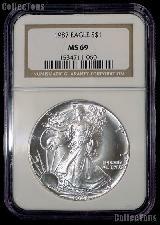 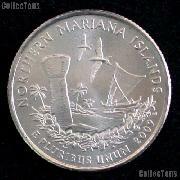 Proof coins were issued from the San Francisco Mint, Uncirculated coins from the Philadelphia Mint, and recent Proofs have been issued from the West Point Mint.